Your in-office and field team can fill out the same forms either on their device or a web browser on a laptop or desktop. When you subscribe to our Enterprise Plan, your team can submit the same forms they complete on their device from a web browser. With the Web App you can standardize your digital processes across your whole company or organization. 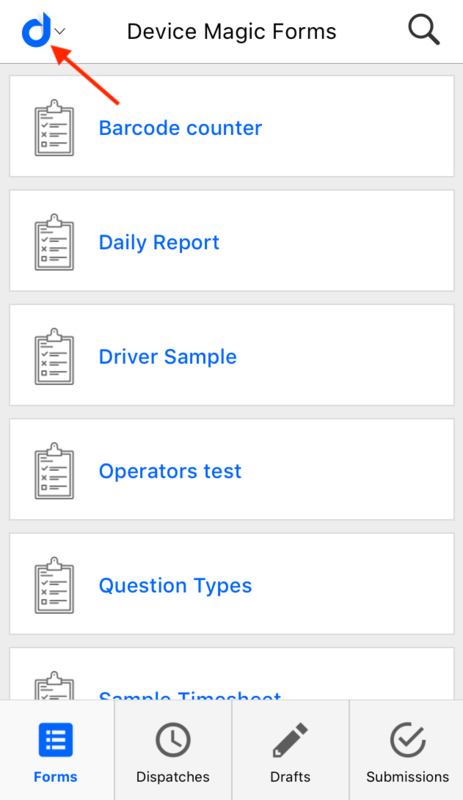 Your field team can now access and fill out any of their forms from a computer. Your in-office employees can also fill out forms directly from the computer they already use. This is especially valuable when you have company-wide forms so you can standardize your digital forms across your entire workforce or give your in-office employees access to fill out forms that are unique to their job function or department. First, you need to makes sure you have the Device Magic app on your device and it is joined to your account. If you do not have the app installed on your device yet, learn more about how to get the Device Magic app on your device by clicking here. 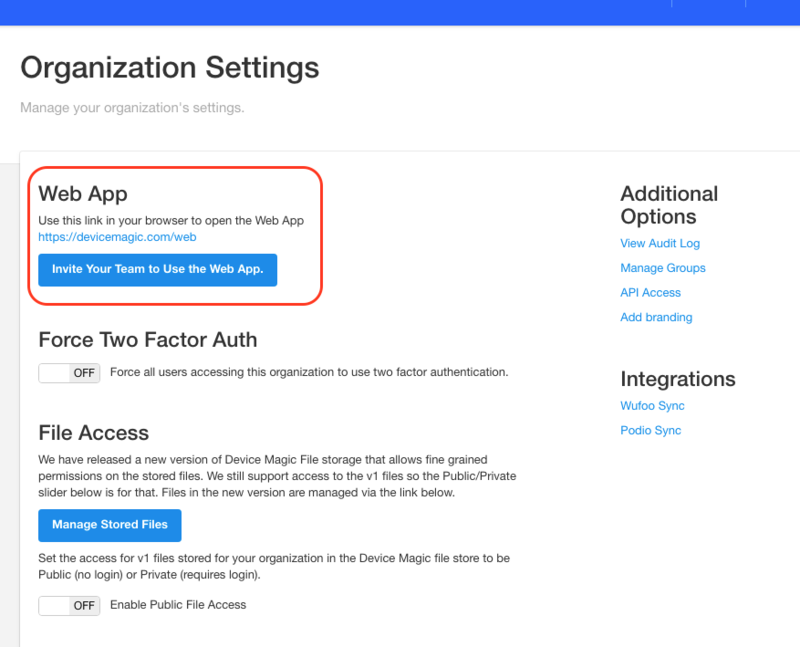 You can find this link on the Organization Settings Page of your Device Magic Dashboard. Under the link you will also find a button which will launch an email invitation for when you would like to invite others on your team to complete forms using the Device Magic Web App. After entering the URL into your browser you will find a QR code to scan from the Device Magic app to authenticate your account. This makes sure you are directed to the correct account and have access to the correct forms. On your device, open the Device Magic app and tap the settings icon. Next, a QR code scanner will open on your device. Point your phone toward the code on your screen to scan it. You will then be authenticated and logged in to the Web App. This will give you access to all of the same forms you have access to on your device. 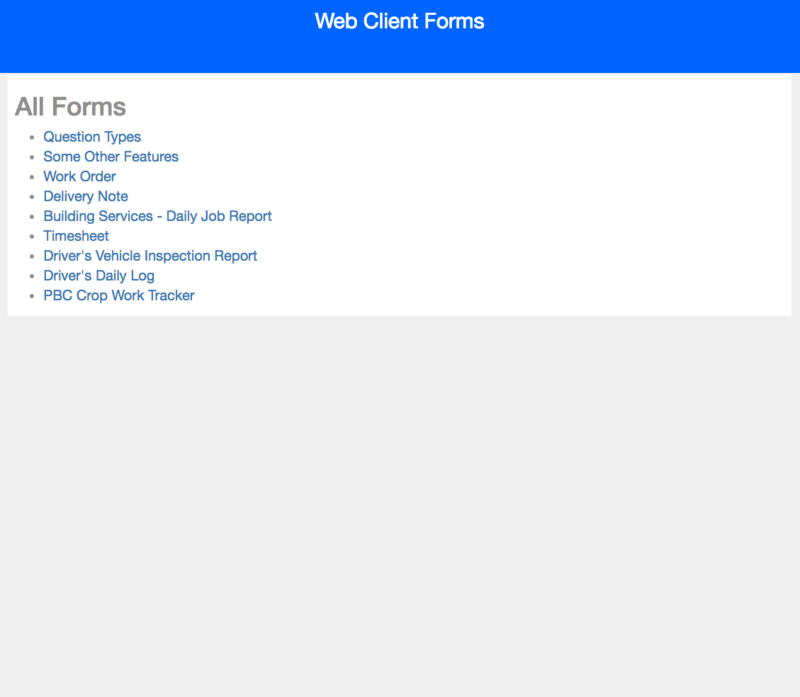 Once you are logged in you will see a list of all of the forms you have access to on your device. 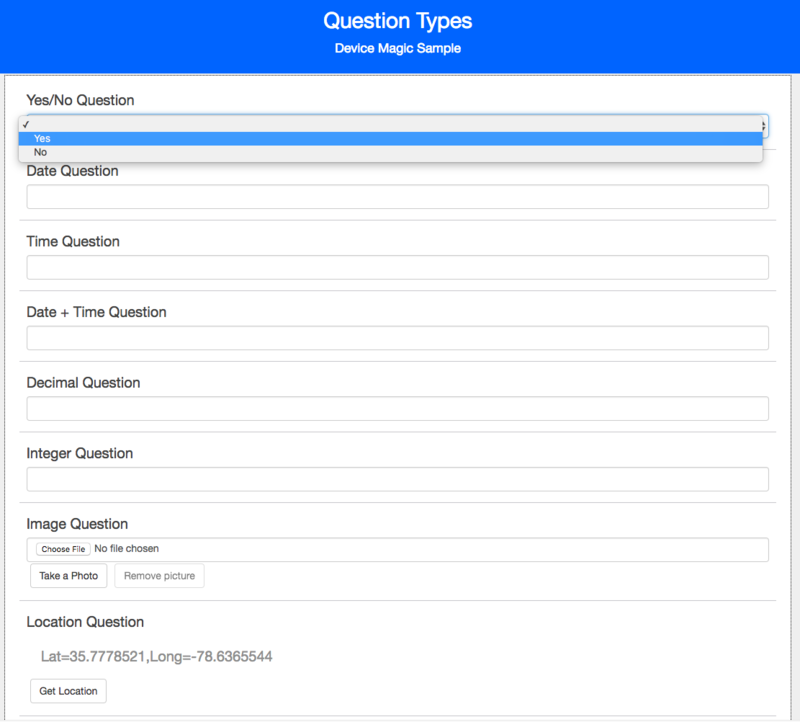 By clicking on the form name, you can open the form in the browser and start entering information. Once in the form you can complete it the same way you would on your device, only now you have the convenience of utilizing your keyboard and mouse. It's that simple. Now you can get your entire company involved in your digital forms so you can standardize processes and convert all of your forms with Device Magic to increase form completion and accuracy and reduce time spent for both your team in the field and your in-office team. This concludes our overview of the Device Magic Web App. If you have any questions or comments feel free to reach out to our Support Team at support@devicemagic.com.